← Tonight is Abba night! Following the torrential thunderstorm in the early hours, it was a murky start to 4 July. As the low cloud and fine drizzle slowly cleared throughout the morning, the CDYST sports field & hall on Coldwell Lane were gradually transformed, by an army of volunteers, into the setting for the Crosspool Forum Summer Fayre. The event was officially opened by a lifelong Crosspool lady Faye Buxton, who earlier this year had moved from Sheffield to be nearer her family. As visitors arrived to enjoy the attractions, stalls and entertainment by local Irish dancers, the Yorkshire Chandelier Clog dancers, Richard Francis Duo and the children’s favourite comedian/magician Barney Baloney, the sun broke through and shone for the whole afternoon. A truly enjoyable day was had by everyone. 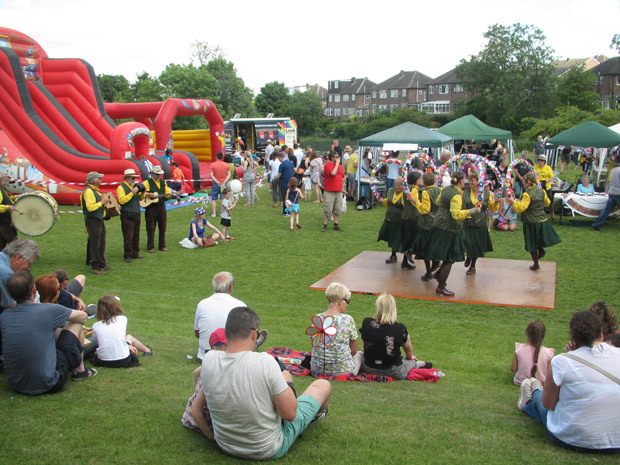 The organisers of the Fayre would like to thank everyone for attending the event and especially the team of dedicated volunteers who helped make the whole event possible. 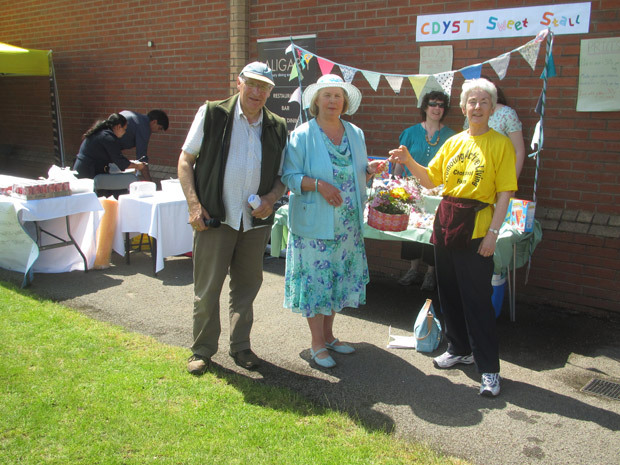 This entry was posted in CDYST, crosspool festival 2015, photos and tagged cdyst, summer fayre. Bookmark the permalink. Fabulous day. Gets better every year. Thanks very much. Good fun for local families and visiting ones too. Thanks Rob for your encouraging comment. 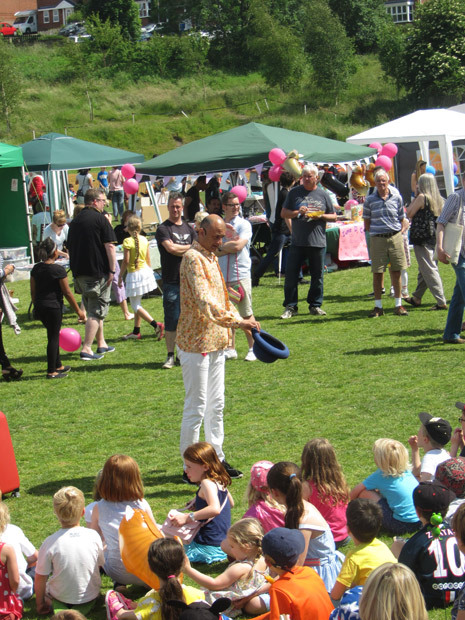 With the continued support of the many volunteer helpers and the community, we hope to be able to successfully host a Crosspool Summer Fayre well into the foreseeable future.